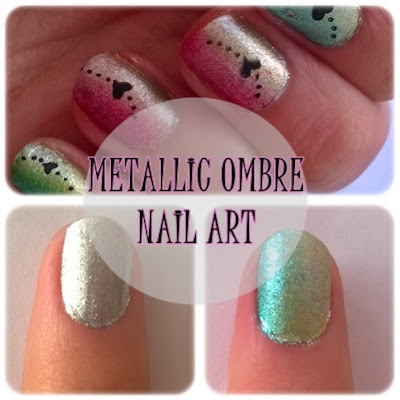 Hi Everyone, Today I'm gonna show you a really good ombre nail art example. 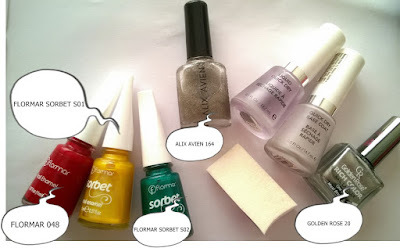 Let's look at the polishes and other materials I've used. 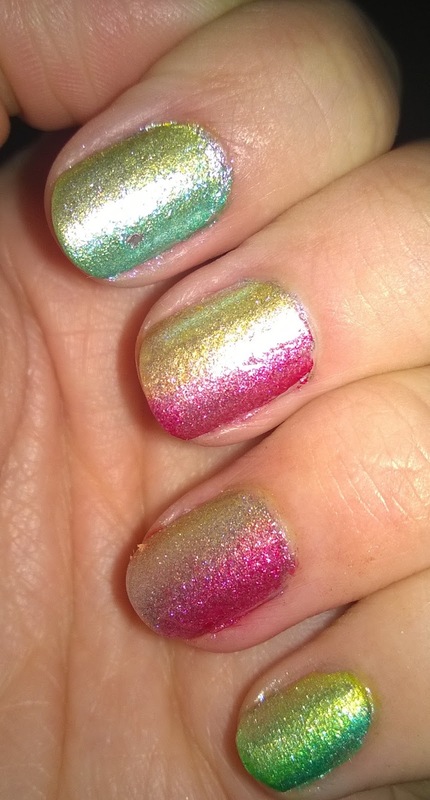 I saw it from the YouTube channel of HannahRoxNails. I applied it and it seems awesome. First I applied Revlon Base Coat to protect my nails. 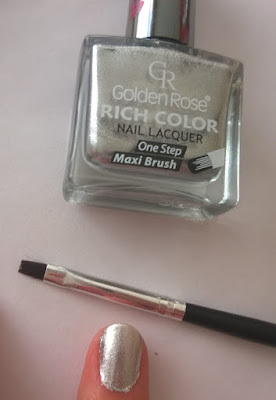 Then I applied two coats of Golden Rose 20 on my nails. If you can't apply the nail polish good, you can use a make-up brush etc. to clean the extra polish like me. Or you can use a liquid latex tape. I wrote about Lulaa the liquid latex tape you can read. 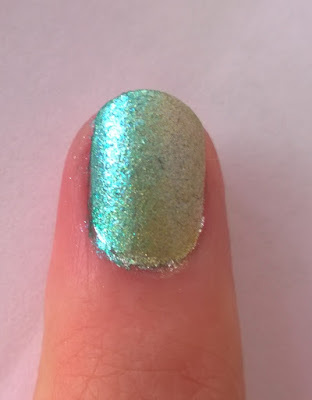 Then I applied Alix Avien 221 which is a glitter polish to add extra glitter. 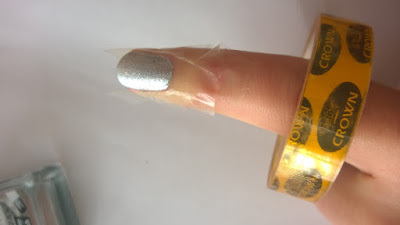 Before pressing the sponge onto my nails, I used a simple tape around my nails because I didn't have any liquid tape then. 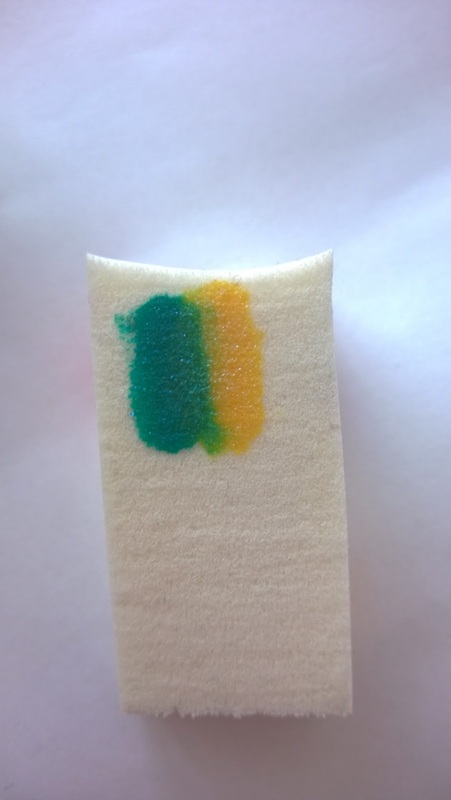 Then, I applied two seperate colors on the sponge. Be careful to overlap the two colors in the middle. Nail polishes I used are also glitters in them. It adds metallic effect to the nail art. After that, you need to press the sponge on your nail gently. Also I used Flormar 048 to have a different look.